Thanks for the tips. That little sprig of hair at the top is so cute. 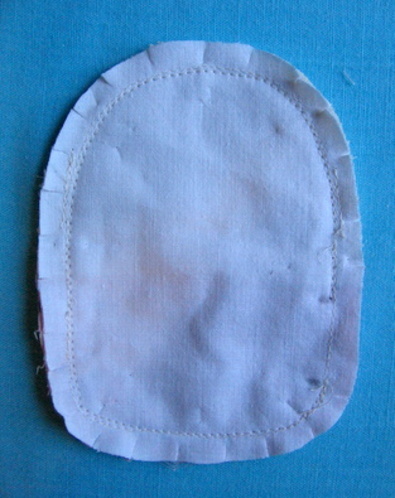 Thanks for the good little tips-like backing with cotton and the ear shaping tip is a gem. Who woulda thunk it? 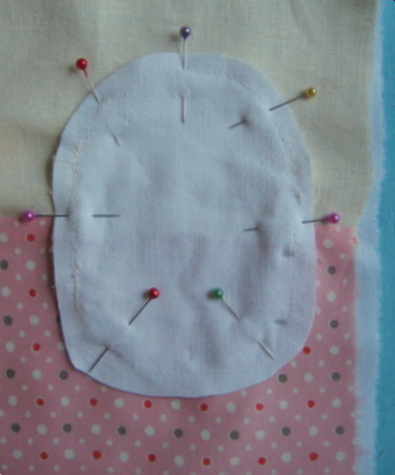 Only question I have is how to embroider the face--where did you put those knots, honey? ps. please post more often--I can't get enough of Molly Chicken! 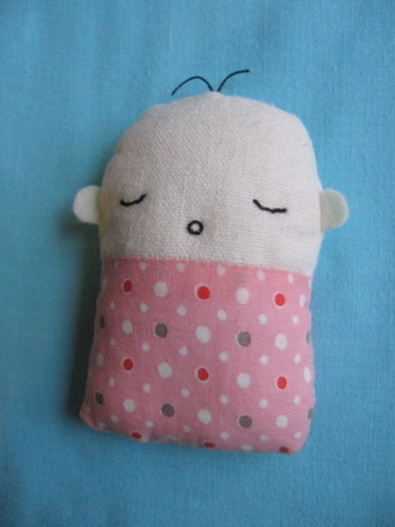 i think i might make these as gifts for the parents of new babies...i always want to give them a little something too. Thanks for posting this! So cute. Yay, these are so cute. Thank you so much-super cute! Thanks so much for this. 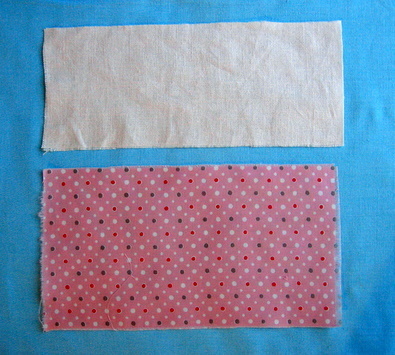 Love the tip about the double layer of cotton and the tip about the cute little baby ears. I love your site! Oh, so cute!!! Thanks for sharing! Thanks for sharing your tutorial. I can't wait to try it this weekend! Great tutorial, thanks for doing it, I know they take some time and effort! how cute! thanks for the tutorial! Your tutorials are so great - fun, easy to follow and you make it all look so easy. Thanks for sharing your tips. They are simple, yet cute. Crafting genoius(sorry, I can't spell XD). You make the best free stuff! I gave you a 'You make my day award' on my blog. I just love yours and follow it with delight! Thank you for sharing the tips about backing and the ears. 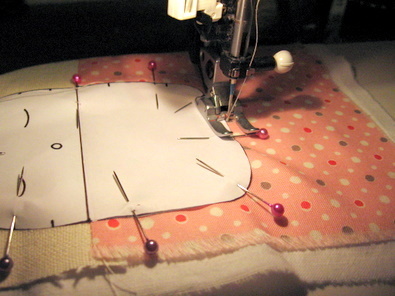 I would have embroidered the face before sewing, that's so much easier! Thanks for the tute and tips! Fabulous. We are at -4º F today, so I think now is a good time to practice working on some lavender babies. Thanks for making my weekend beautiful! Now I know what I'll be doing tomorrow! As always I can't wait to have a go. Your tutorials are brilliant and so easy to follow. very cute little baby....simple and sweet...such fun! please stop by to say hello. Holy cow. This is adorable! Once again, a great tutorial. Thank you so much. I really love all the step by step photos. I'm a visual learner. I've just made a little mouse with a help of one of your tutorials. Thank you so much! I love my little mouse and I published a photo of it on my blog today. Ok, I admit, he's got a bit too big ears but it makes him even more special because of that. Thanks again! Thank you so much for your many tutorials! It's like a present every time one comes out! I appreciate all the hard work, thought, and time that goes into your blogging and tutorial-making and just wanted to express it to you! You brighten my day! Thank you for sharing this! I was just thinking I'd love to make these for a couple of my friends' babies. 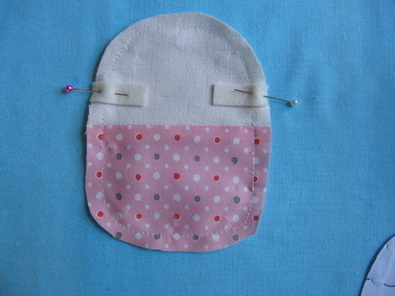 love this, soo cute I will have to make some for my friends that are expecting! Your blog is wonderful, full of fun and inspiration! I love it! I am definitely going to be making one of these with my eight year old daughter tomorrow. She wants to make our new baby a present and this would be perfect! This is just in time! 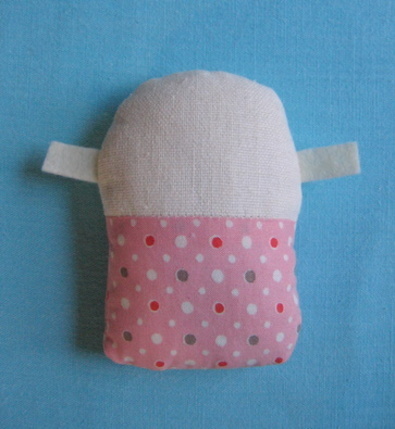 I am making some tiny little people for my daughter's first birthday and am planning on giving them felt legs and arms. What a genius idea! 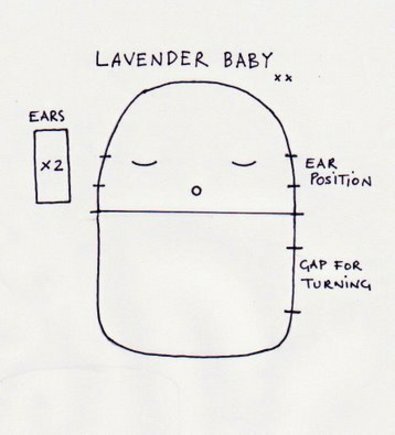 That is so sweet (I love the thought of having a little baby that smells like lavender)! Thank you for sharing! that is all i can do after reading your last few posts. you are one cool mama! Thanks Lyn! I just made one of these for a friend who is trapped at home with her 3 sick kids, (4 if you count hubby) guaranteed to raise a smile! 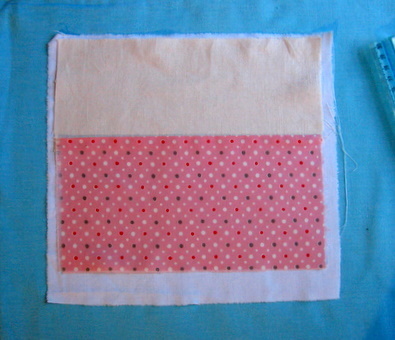 I made a bag for it to hide in, you can just see the top of the head and hair poking out. V. Cool! I love the smell of lavender. I put it in all of my pillows, too. Those sweet little booties you made are so cute! They almost make me want to have another baby...almost. This is just so precious and so sweet!!! I love it! Thank you for sharing the tutorial with us! :) Also wanted to let you know that you're on my "homey inspirations" list on my blog!!! Mollychicken, can I please please post a link to your blog on my blog? I really enjoy it and I know my friends would too. Mystic Meg tells me she sees many of these in my future! Thanks for sharing! I forgot to thank you for posting this - i know just the little bundle of mischief i'm making one for. Hi, just found your delightful blog! Was inspired to make this cute baby, thanks so much for sharing... I've posted mine on my site with links back to you for your wonderful work. Thanks for sharing! I love your blog. Not only are you talented but say godamnit and eat too much chocolate. Pretty much my first two requirements for an interesting woman.